Home » Posts tagged "home-made"
My best friend S has a lot of cookbooks in her home. Huge, intimidating tomes with food so fancy and obscure the sheer volume, range and possibilities for nourishment make me want to lie down and have a little rest. 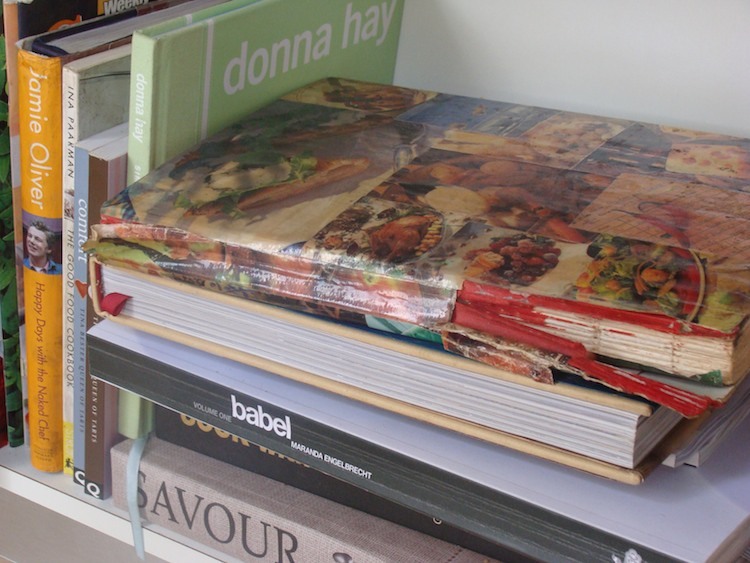 But in amongst her voluminous collection I discovered on a recent visit there (she lives in a different city) a hardcover A4 notebook with yellowing pages: her home-made, pieced-together, patchwork of favoured recipes. 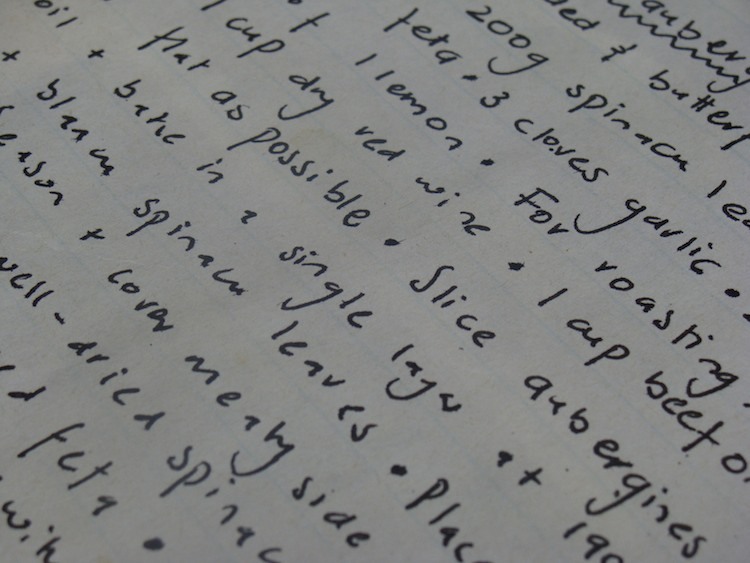 She started it just before she left home, neatly cutting out edges for tabs under which to organise found recipes and carefully transcribed instructions from her mother. The outside is a montage of pictures of food cut from recipe books, dating – simply by virtue of stylising and fashion – the book to the late eighties. The book contains more than twenty years’ worth of kitchen experience. But it holds more than that. The crinkle of the dusky pages are a small history of this woman I have loved and respected since the very first day we spoke, hunkered down behind the school gym bunking PT: her neat straight-up handwriting and logical thinking; the choices she made for inclusion and, by extension, for exclusion; the book’s bilingualism, which reminded me that when she moved to South Africa she could only speak English; the little flame of ancestral feeding that’s kept alive here; the testimony to family, friends and food, and to times spent around various tables in various homes – from suburban parental home, to shared digs and rented flats to her first own home, bought carefully and bravely as she started to establish herself in her career. 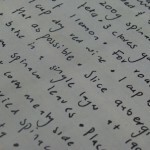 S’s handmade cookbook – her home-baked, artisanal, lovingly accrued recipe book – is one of the most beautiful things I’ve laid eyes on in ages. I pulled the book from the shelf and paged through it on the new kitchen island in a freshly renovated house structured, appropriately, around a large, airy kitchen in that same house, which she now shares with a man who cooks, undaunted and lovingly, the kind of food for which you have to pay a small fortune in high-end restaurant. 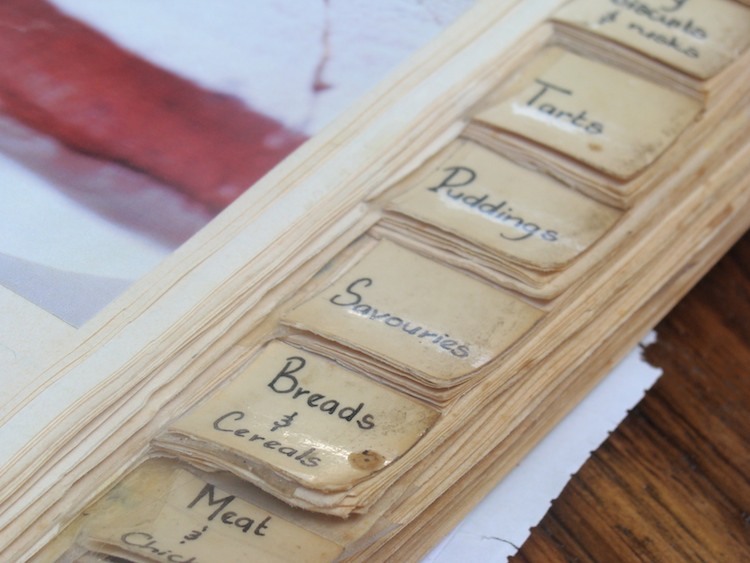 After all the changes, relationships, renovations, after all the years of being an adult, my childhood friend’s handmade book feels like an artefact, a carefully curated collection – a paper umbilicus to that first kitchen where, under her mother’s eye, she topped-and-tailed beans, made stuffings and mixed batters. I can take or leave large, glossy recipe books, but the tenderness I felt towards S’s home-cooked version leaned towards a most satisfying sentimentality.